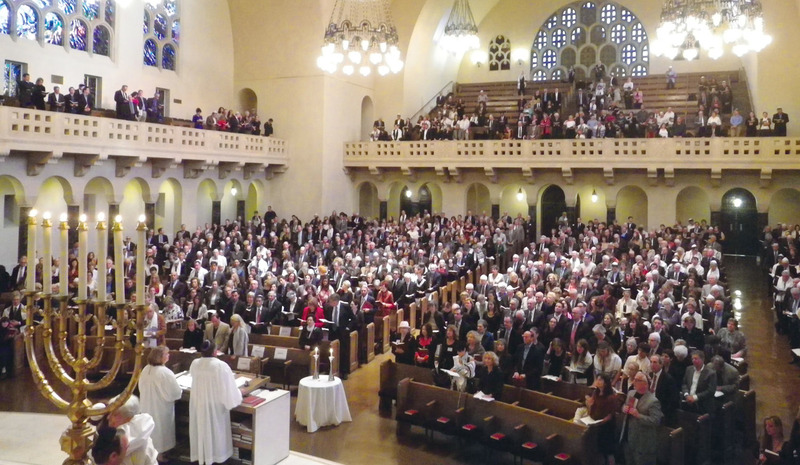 rosh hashanah | Bay Area High Holy Day services at little or no cost – J. There are many reasons to offer free or low-cost High Holy Day services. First, Jews are commanded to hear the shofar sounded on Rosh Hashanah. That is, in fact, the central mitzvah of the day. So providing a way for more Jews to fulfill this mitzvah is a mitzvah itself. Second, free or low-cost services can be a way to reach out to Jews who don’t belong to a synagogue, in the hopes that they will return, bringing their children and checkbooks. But most of all, the Jewish community opens its doors in this holy season to echo the opening of the divine doors of forgiveness and inclusion, bringing Jews together to reflect, repent and return to our best selves before those doors shut again on Yom Kippur. One of the biggest Rosh Hashanah events this year is Chabad’s “Pre–Jew Year’s Eve Party” on Wednesday, Sept. 24 at the Concordia Club in San Francisco. Kicking off at 5 p.m. with music by Joel Nelson and libations at the Blue Angel Vodka bar, the evening continues with a traditional Erev Rosh Hashanah service and concludes with a kosher dinner by Epic Bites. It’s presented by Chabad of S.F., SoMa Shul and Chabad of Pacific Heights. He used to hold court at the Fairmont Hotel, but difficulties with kosher dietary laws led Langer to move to the city’s historic Jewish club, the Concordia, in the spring for Passover. That seder went so well — more than 250 people showed up — he decided to return to the Concordia for Rosh Hashanah (Yom Kippur services will still be held at the Fairmont). It was a fortuitous move, as the building has been sold and escrow is expected to close in a few months, so this will be the last big public Jewish event scheduled for this piece of San Francisco Jewish history. The Chabad services are free, but an RSVP is required for dinner at www.chabadsf.org. Morning services will be held Thursday, Sept. 25 at 9:30 a.m. at the Concordia, followed by a public sounding of the shofar, Kiddush and honey cake at 1 p.m. at Union Square. In addition to the Rosh Hashanah, Kol Nidre and Yom Kippur services listed here, Chabad houses around the Bay Area will host free High Holy Day services (www.chabad.org). For other holiday-related events, see the calendar on page 51. Donations are welcome at all services.